US state department spokesperson Heather Nauert announced on Thursday that the US would establish an observer mission to replace its representation at the Paris-based agency. Nauert said the US step reflected the need for fundamental reform in the organization in view of its anti-Israel bias. The decision demonstrates the US administration's "complete and total bias" towards Israel, Mustafa Barghouthi, secretary general of the Palestinian National Initiative (political party), told al-Jazeera satellite channel over the phone from Ramallah. 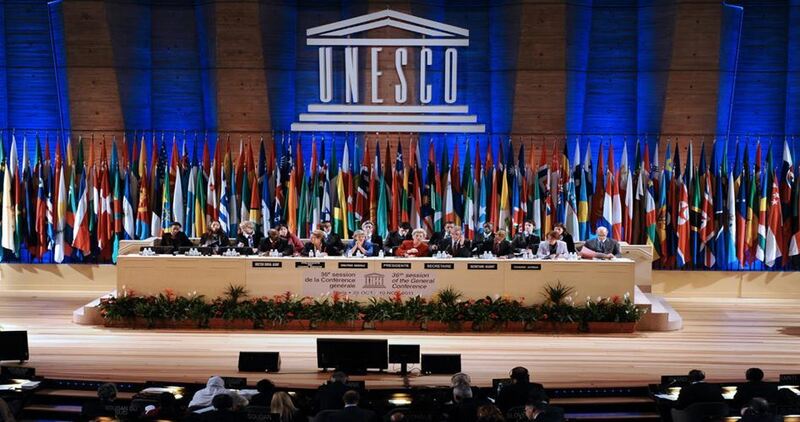 "Sooner or later they will see Palestine in every UN agency. Will the US respond to that by withdrawing from the WHO or the World Intellectual Property Organization? They will be hurting only themselves," he added. He also said it is "as if Israel is dictating US policy not only in the Middle East but also in international organizations. 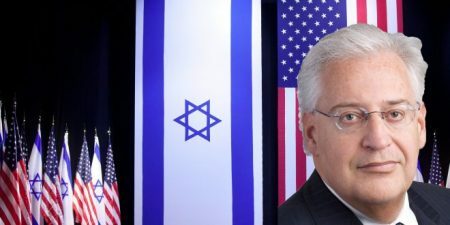 That's going to have a very harmful effect on the idea the US being a mediator between the Palestinians and the Israelis." 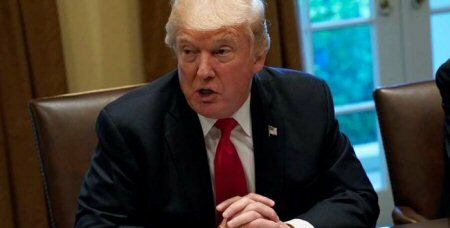 US President Donald Trump says that he will not go ahead with his controversial pledge to move the American embassy to Jerusalem, as he wants to give a shot at achieving peace between Palestine and Israel, he said on a TV show, “I want to give that a shot before I even think about moving the embassy to Jerusalem.,” referring to the current efforts for the peace process between the two sides. Trump noted that his administration was working on a plan for peace between the two sides. 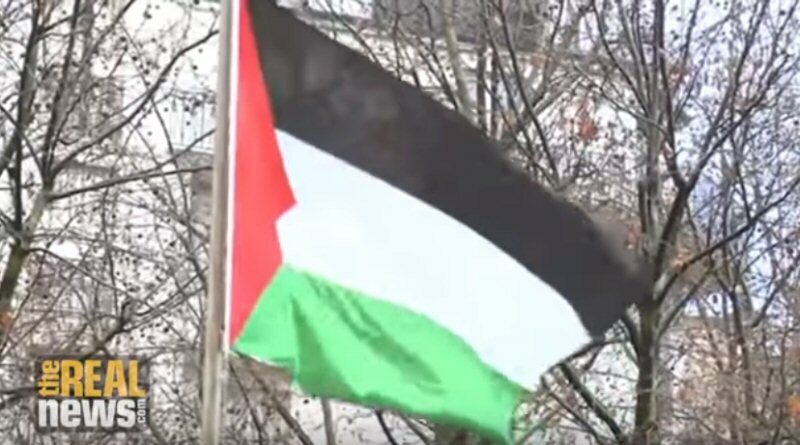 Foreign countries currently have their embassies Tel Aviv since they do not recognize Israel’s unilateral claim of control over all of Jerusalem, according to the PNN. Israel occupied east Jerusalem and the West Bank in 1967, and illegally annexed east Jerusalem, in a move which is disapproved by the international community. 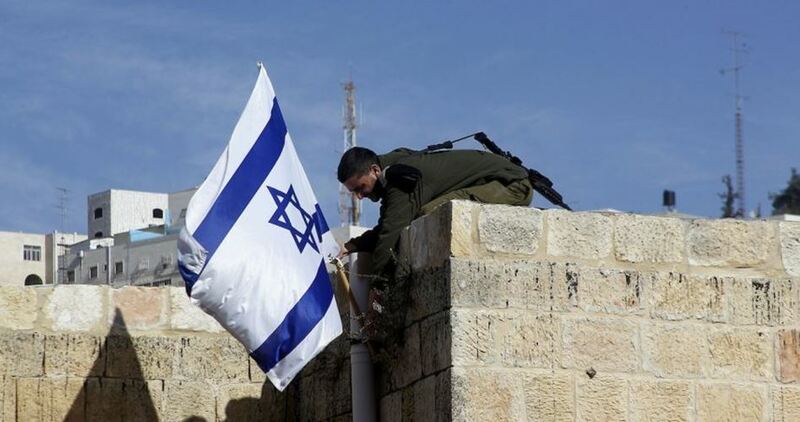 This causes problems on almost a daily basis in Jerusalem including settlers raiding Al-Aqsa Mosque and Israeli soldiers illegally seizing houses and lands in the Jerusalem area. In June, Trump signed a temporary order to keep the U.S. embassy in Tel Aviv, despite a campaign promise he made to move it to Jerusalem. “If we can make peace between Palestine and Israel, I think it’ll lead to ultimately peace in the Middle East, which has to happen,” he said. “We’re gonna make a decision in the not too distant future,” Trump said. But, for now, the peace push comes first. In a meeting last month with UN secretary-general Antonio Guterres, US president Donald Trump described Israeli premier Benjamin Netanyahu as “the harder side to convince in his efforts to broker an Israeli-Palestinian peace deal,” according to Haaretz newspaper. 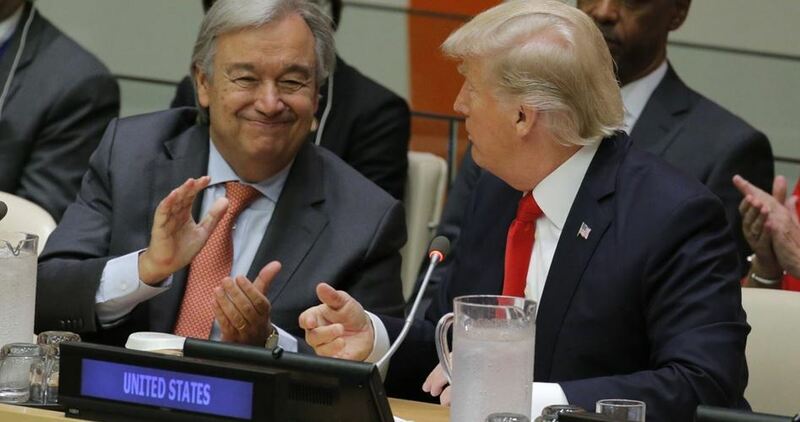 On September 19, Trump held a 15-minute meeting with Guterres on the sidelines of the UN General Assembly in New York. According to six Western diplomats and one former senior Israeli official, at least half of the meeting dealt with the Israeli-Palestinian issue. Trump, who had met with Netanyahu in New York the previous day, gave Guterres his impressions of that meeting and his own views on the peace process. An informed Western diplomat said Trump reiterated to Guterres that he was determined to try to advance a historic peace deal, and that over the years, he had made many difficult deals, but he had always heard that the hardest deal of all was the Israeli-Palestinian peace process, and he wanted to try to meet this challenge. Trump described Abbas as “a very old (82) man who suffers from domestic political problems and needs a legacy to leave behind,” stressing that he would never have a president more understanding of Israel’s security needs than Abbas. He expressed his belief that there was a chance that Abbas would agree to steps he had not agreed to in the past.